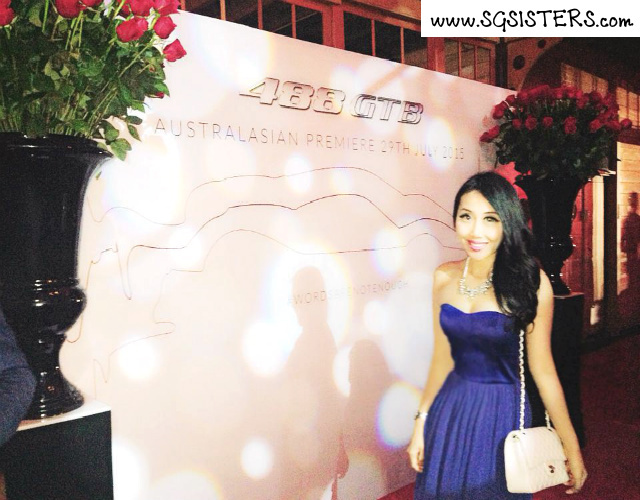 29 July 2015 - Ferrari 488 GTB Premiere in SYDNEY - An exclusive launch party was held last night at Inglis Newmarket Stables in Sydney to celebrate the arrival of the Ferrari 488 GTB (Gran Turismo Berlinetta) in Australia among high net worth individuals and the affluent society in Sydney. 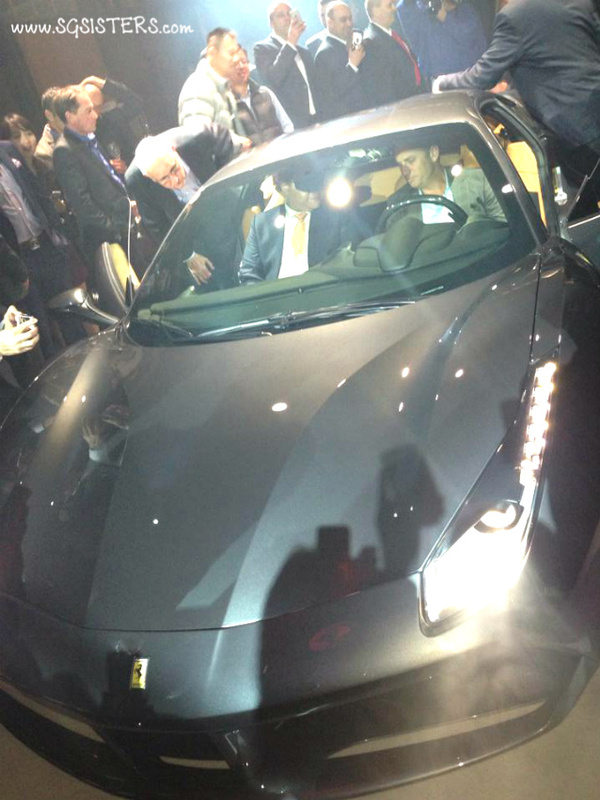 This is Ferrari's brand new car that is first unveiled here in Australia and has a price tag of $469,888. It is also dubbed as "the car money can't buy" as the car is "sold out!" and has more than a 2 years waiting list all the way up to 2017 before it even hits the streets in December. 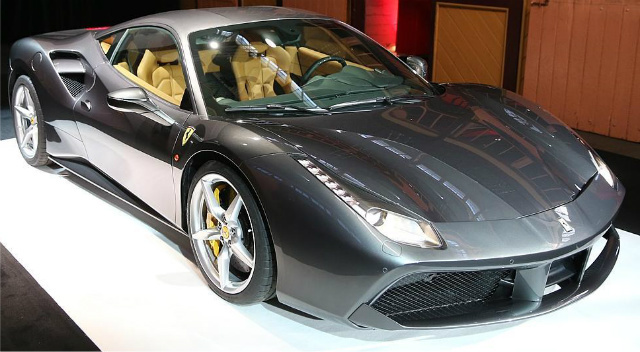 CEO of Ferrari Australasia - Mr Herbert Appleroth is extremely excited about the launch of this new car which has seen sales soaring high and the average age of Ferrari owners gradually decreasing to 48 years old. Ferrari is expecting record sales this year and has already sold 95 cars so far with deliveries up by 82% year-to-date. With a booming property sales market in Australia especially in Sydney and greater confidence level of consumers, it is not surprising why. 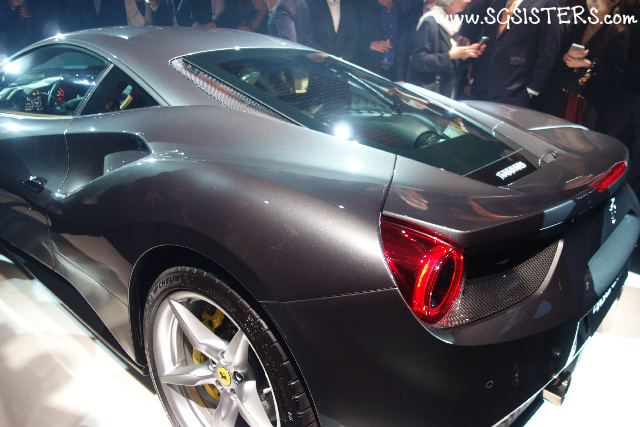 Ferrari is definitely a strong global brand that is expecting a huge growth over the next few years. INGLIS NEWMARKET STABLES in Randwick - Upon arrival at the venue of the party, there was a huge display of Ferrari flags all along the fences and I could hear the pumping music that got all the guests excited. 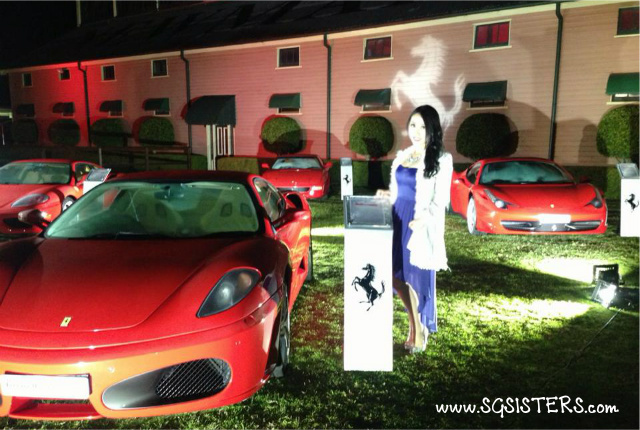 Upon entering the gates, guests were greeted with a display of various Ferrari car models and there was a beautiful lady riding on a real horse! It was freezing cold on the green fields so I quickly took a few photos before proceeding all the way inside the stables where there was a huge display screen with the prominent "488 GTB" words. There were plenty of food and drinks served throughout the night and it was nice to meet some of our friends from both the Ferrari Club Australia as well as some from the Lamborghini Club Australia. Grand Entrance of the Ferrari 488 GTB - All of a sudden, the music stopped, lights were dimmed, an opera singer emerged from the second floor singing at the top of her lungs and the huge display screen started screening an adrenalin-pumping Ferrari 488 GTB video. 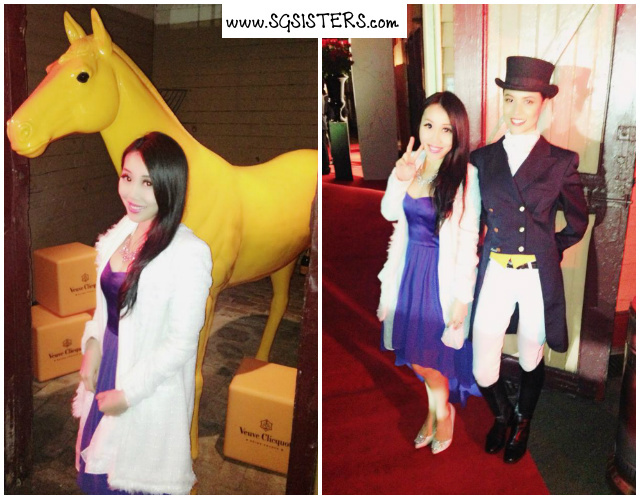 After the video ended, a beautiful lady riding on a real horse appeared out of nowhere, galloping around the room to the amazement of the crowd. 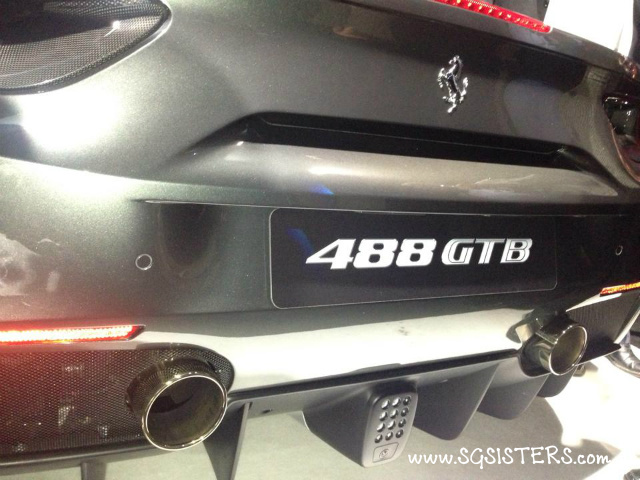 Soon after, the Ferrari 488 GTB made a grand entrance driving into the crowded room with the misty smoke effect. I was kinda shocked at first as I was standing right in the middle and the car was driving towards me but luckily it stopped in time. I was also the lucky first few who was invited to sit inside the Ferrari 488 GTB to take a closer look and get a better feel of the car. I met the CEO of Ferrari Australasia - Mr Herbert Appleroth who asked me how was my recent Ferrari Factory and Museum visit in Italy and he was very pleased when I told him it was an unforgettable experience to see how Ferrari made their cars with such great precision and pride. 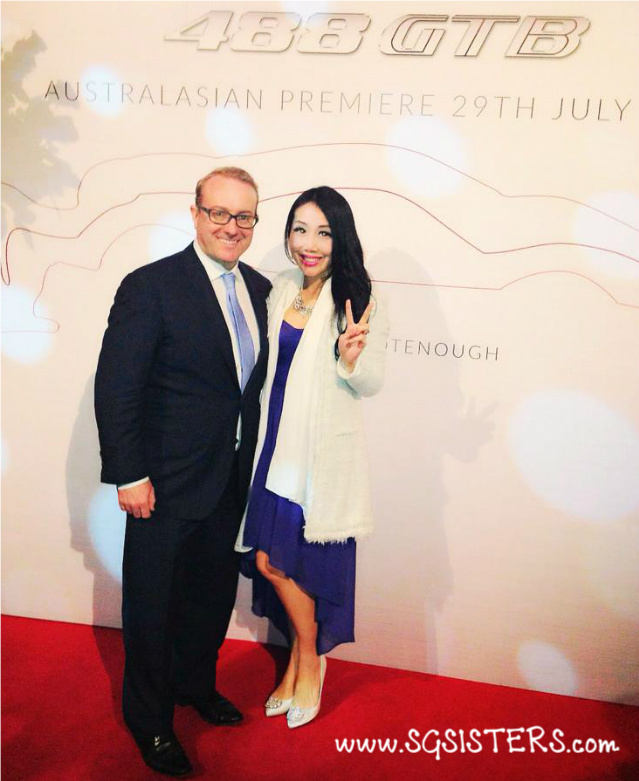 At the party itself, there were many younger guests and I spoke to some affluent Chinese who have just recently moved to live in Australia and managed to convinced them to join the Ferrari Club. It was a beautiful evening with free flow of champagne, canapés and music and definitely a night for all Ferrari fans to remember! 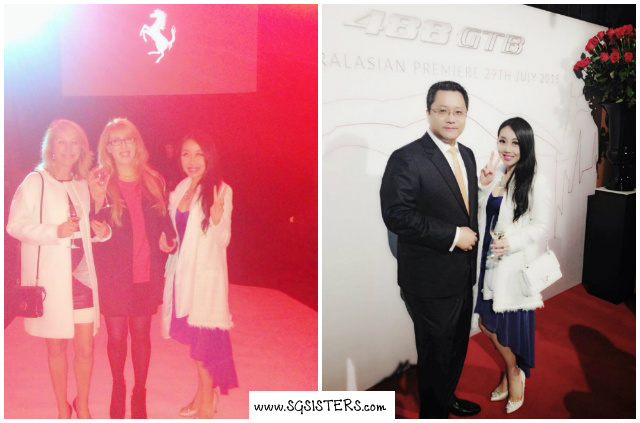 VIDEO - Watch how the Ferrari 488 GTB made a grand entrance at the Party! Ferrari 488 GTB - This sleek and beautiful Ferrari 488 GTB is the most powerful V8 engine car Ferrari has ever produced, eclipsing the Ferrari 458 Italia by 100 Horsepower. With 660 Horsepower, the twin turbo 3.9 litre V8 Ferrari 488 GTB is remarkably fast and can reach 0 to 100 km/h in just 3.0 seconds. 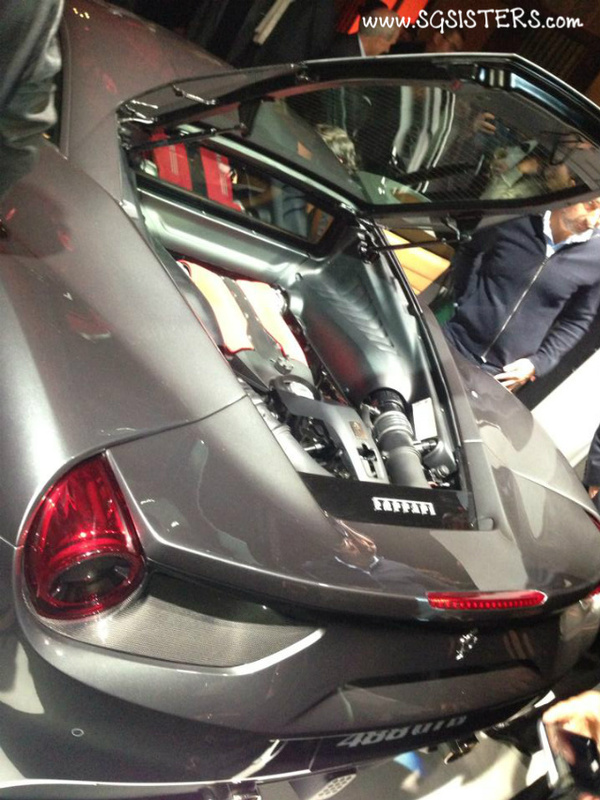 It has a top speed of 330km/h and is the first mid-engine supercar of Ferrari to adopt turbocharging. Interested buyers are invited to race the car on the tracks today on 30 July 2015.